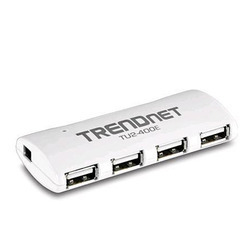 Offering you a complete choice of products which include 4 port network usb hub, usb port hub, usb port hub with ethernet adapter, 4 port usb hub, usb port hub u7h and usb hub. 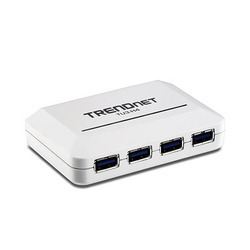 With firm commitment to quality, we are manufacturing, supplying, distributing, wholesaling and exporting a comprehensive range of USB Port Hub with Ethernet Adapters. 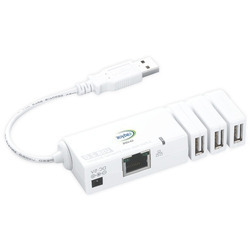 These products allow users to connect to the Ethernet network while adding three more extra one-eighty degrees rotated USB ports. With the help of our vast distribution network, we assure that these products are timely delivered at the destinations of clients. 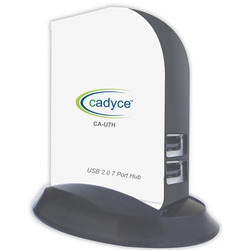 With our expertise in this domain, we are able to offer a superior quality range of 4 Port USB Hubs. Our procuring agents source high quality material from trusted vendors of market to manufacture the offered hubs. To ensure their defect-free nature, we stringently inspect these products on certain well-defined parameters of quality. We are a prominent manufacturer, supplier, distributor, wholesaler and exporter of an extensive range of superior quality USB Port Hub U7H. The offered range allows the user to add multiple high performance USB peripheral devices to your PC. All these hubs are available for our clients in various specifications at reasonable rates.